In the past three years, bananas have become a large part of our daily consumption…well, for our daughter’s consumption. When she was younger she would ask for a banana at breakfast, lunch, dinner, and for a snack. I always bought them weekly at the store, or the grandparents would send us home with some in a grocery bag. Sometimes one or two would go uneaten, and they’d get so soft and so ripe that I threw them out. The husband and I excluded ourselves from eating bananas just so the tot could have that extra one, or two. Now that she’s older there’s no need to buy 835 bananas every week…thank goodness she’s out of that stage!! Unfortunately, it seems my banana buying habit remains, and we’d be left with too many bananas on the countertop, just going dark and gooey. 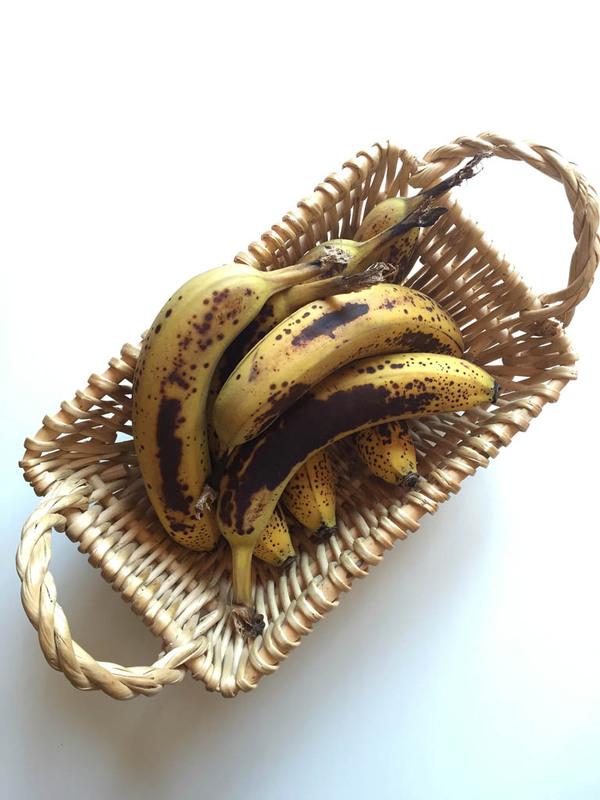 I can’t stand a soft, gooey, super-ripe banana…eww! I love to eat them when they just turned yellow, like the moment they’re still green, but almost to full-on yellow. The only time you’ll ever see me eat a real ripe banana is when they’re mashed into something, like breads or muffins. Since there were a few bananas sitting on the countertop getting soft and really dark, I didn’t want to throw them out; I decided to make banana bread. With all the bananas I threw out, I probably would’ve been able to make 2 or 3 loaves a week for the past 2 years and started a banana bread business! This recipe is from my mother’s recipe stash, but I added a couple things to it: chocolate chips and nuts. Now FYI: I normally don’t include nuts in my food, and I have a peanut allergy anyway. The only time you’ll ever see me eat anything with walnuts or pecans or almonds is if they’re chopped very fine; I just can’t do whole or large pieces. 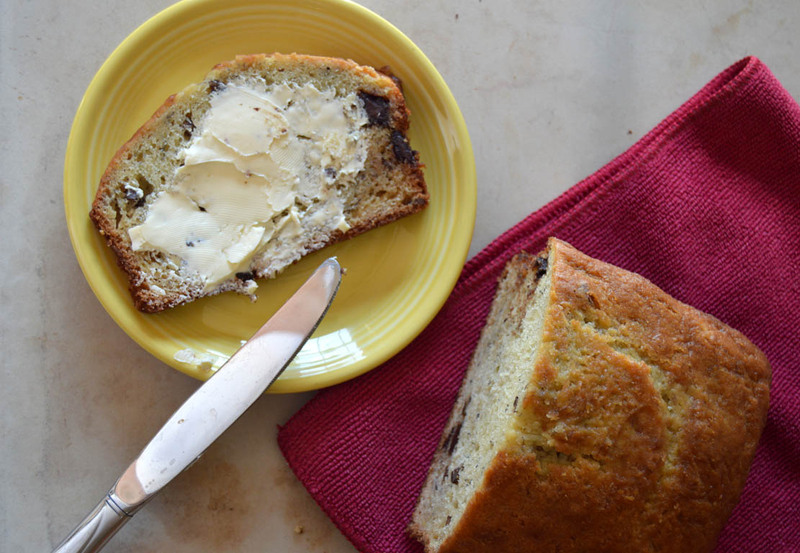 Having leftover chopped pecans, I decided to throw them in with the chocolate chips; just a cup, and I fell in love with this bread. 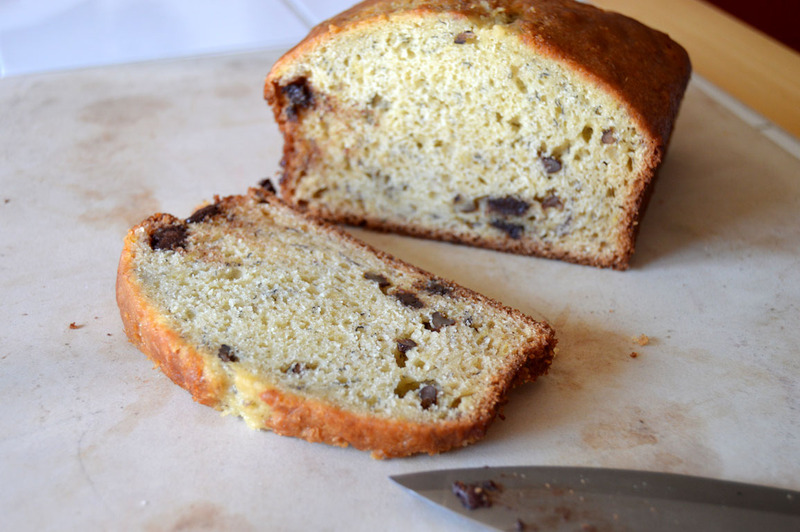 The combination of the two make this bread less boring, and the chocolatey sweetness is just the perfect touch, along with the banana flavor. This recipe should definitely be on your must-bake list!! • Preheat oven to 350-degrees. 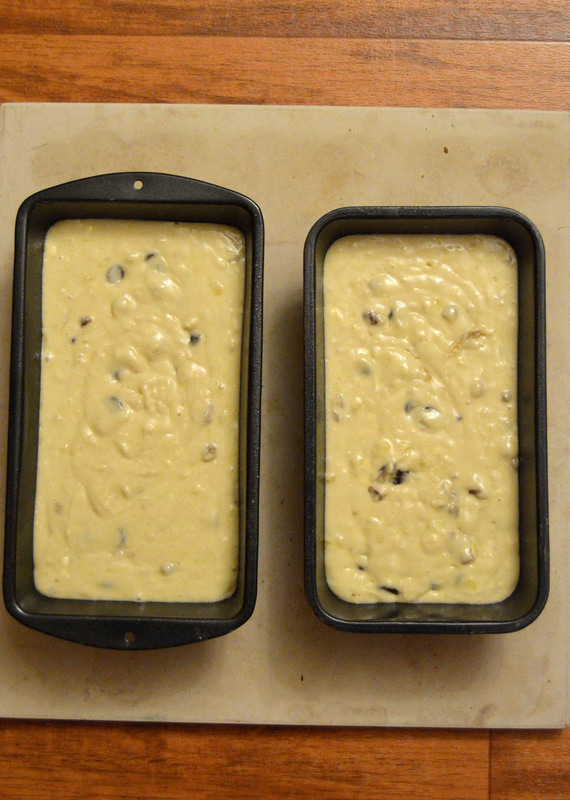 Grease and flour 2 loaf pans. • In a large bowl, mix together the dry ingredients; set aside. 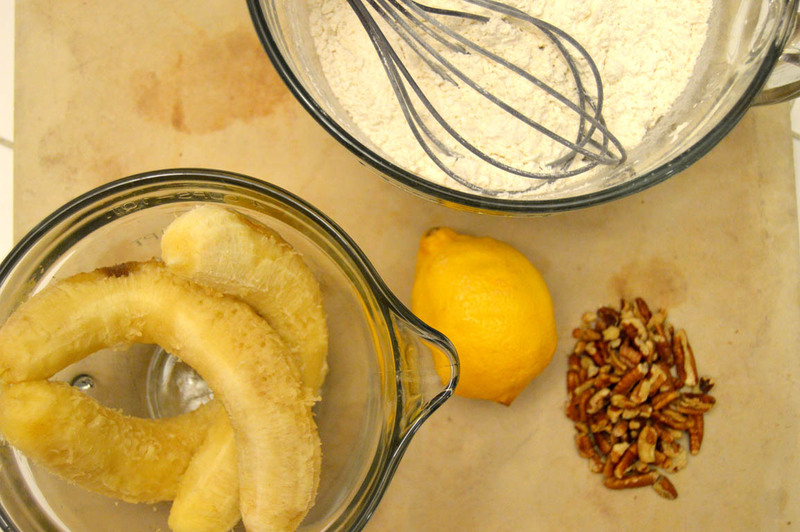 • In a medium bowl, mash bananas and add lemon juice; mix well. • In a mixer bowl with paddle attachment, mix margarine and sugar. Add the eggs and beat well until light and fluffy. • Alternately fold in dry ingredients and milk. Beat after each addition and then fold in bananas. 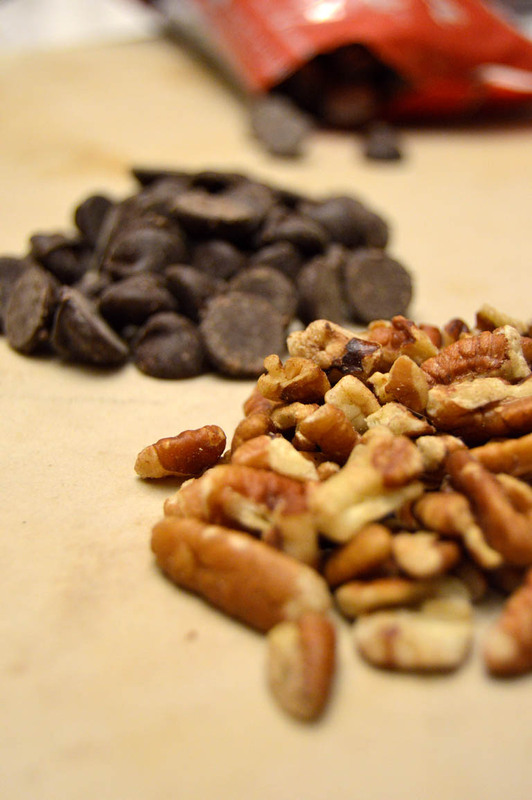 Add the chocolate chips and nuts. • Pour into loaf pans and bake for 50-60 minutes. Cool in pans for about 10 minutes, then remove from pans to cool completely on wire racks. < Previous The Best Chocolate Chip Cookies Ever!